Jovo Martinovic, photo provided by his family. 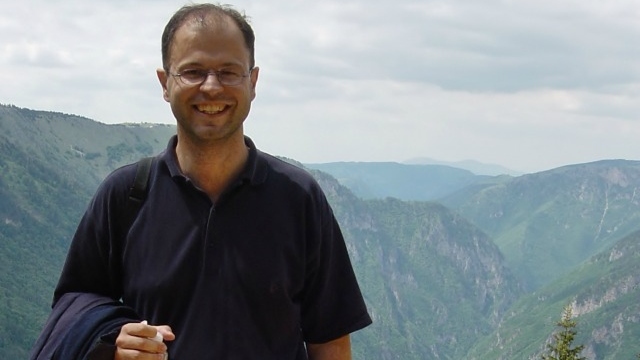 An award-winning investigative reporter was sentenced to 1.5 years in prison in Montenegro on drug trafficking charges on Tuesday (15 January), in a ruling slammed by media watchdog RSF as a “disturbing set-back” for press freedom. Jovo Martinovic, who has reported widely on crime with both local and foreign outlets, was arrested in October 2015 on accusations of links to a drug smuggling ring. He was held in prison for 15 months ahead of the trial before being released one year ago. Martinovic has denied the accusations and said that his contacts with criminal circles were strictly professional in the context of reporting. Court in Podgorica sentenced an investigative journalist Jovo Martinovic to 18 months in prison for drug trafficking. Martinovic told BIRN that the verdict was politically motivated & not based on facts. “Trafficking in marijuana would have made no sense to me. I just don’t have any motivation to do it, I have an international career,” he said at the last hearing in December. Before his arrest he had worked on stories about the notorious ‘Pink Panther’ international jewel thieves gang whose members are mainly from the former Yugoslavia. A member of the gang, Dusko Matrinovic, was also sentenced to six years and three months in the trial. Six others were also convicted. Martinovic’s lawyer said the journalist would appeal. “Markovic will not go to jail as long as this sentence is not final,” defence lawyer Mitar Mugosa told AFP. Last September Martinovic won the 2018 Peter Mackler Award for his investigations, including work that exposed war crimes during and after Serbia’s 1999 conflict with Kosovo. His reporting with US-based American RadioWorks led to the arrest and conviction of Serbian and Albanian paramilitaries and the creation of a new war crimes court in The Hague, organisers of the award said. The journalist has worked for top outlets including National Public Radio, BBC, Vice, and The Financial Times among others. Montenegro, home to 650,000 people, hopes to join the European Union by 2025 and is under growing pressure to tackle organised crime and safeguard media freedom. After a journalist was shot by an unknown assailant in May 2018, Brussels warned that the accession process would be “hampered” if there was no progress in protecting journalists and press freedom.